What’s happening in the world of HR this month? Congress has been busy developing, refining, and voting on bills in the House. The political landscape is keeping everyone on their toes, especially employers and HR managers. Many of the matters facing Senate vote will have a large impact on businesses and their employees—so it’s important for HR to stay in the know. 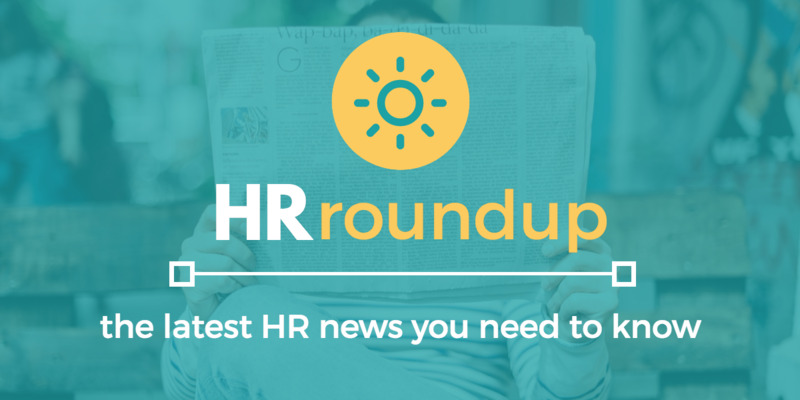 Read on for this month’s HR Roundup, full of HR news and updates. And congrats, Class of 2017. There’s good news in store for you! Fenton explains that the bill passing the House is the first step in a long legislative process. The AHCA bill with likely undergo significant changes during its time in the Senate and even more changes if it goes back to the House. Fenton adds that any employer efforts to implement large-scale changes that rely on the AHCA would be premature. "The ACA is still the law of the land," says Fenton. If changes do occur, they will take time to implement. It’s quite likely the Shared Responsibility Mandate will still hold employers accountable for reporting on 2017. It's not worth taking the chance that change will come before reporting deadlines do. You’ve heard the old adage: less is more. Now, the Federal Trade Commission (FTC) gives Human Resources that same advice when it comes to screening forms. In recent guidance, the FTC advised HR to keep any required background check disclosure and authorization forms clear and concise. The Fair Credit Reporting Act (FCRA) requires employers to disclose their intent before screening a prospective employee or receiving any background reports. Then, the candidate must provide written consent to allow the employer to perform those screenings. The FTC encourages HR to keep things as clear and simple as possible. Do not fill forms with "complicated legal jargon" or "extra acknowledgements or waivers." Numerous lawsuits have developed from wording on these forms. Some complicated forms have even resulted in unfortunate consequences for employers. Language that claims to release the employer from liability for conducting, obtaining, or using the background screening report. Certification from the prospective employee that all information in the job application is accurate. Language that asks the prospective employee to acknowledge that the hiring decision is based on legitimate nondiscriminatory reasons. Overly broad authorizations that permit the release of information that the FCRA doesn't allow to be included in a background screening report—for example, bankruptcies that are more than 10 years old. Additional acknowledgements or releases of liability. To help your company and your prospective employers, remember to keep it simple. As simple as any FCRA technical disclosure and authorization form can be, anyway. The Working Families Flexibility Act recently passed the House of Representatives and now awaits a Senate vote. This bill aims to amend the Fair Labor Standards Act (FLSA). The vote fell largely along party lines, passing the bill 229 to 197. Under this controversial amendment, employers in the private sector could give non-exempt employees compensatory time instead of monetary compensation for overtime worked. Employees would earn comp time at the rate of one and a half hours for every hour of overtime worked. This could be the end of the Obama-era FLSA changes that would have increased the non-exempt employee salary threshold from $23,660 to $47,476. The White House openly supports the bill—Trump’s advisors have already recommended he sign the bill into law in its current form. The Department of Justice has requested to delay the brief filing process for the FLSA final until June 30, 2017. U.S. Labor Secretary, Alexander Acosta, announced last week that the Fiduciary Rule will go into partial effect on June 9, 2017 without further delay. The rule will still go into full effect on January 1, 2018. This rule expands the definition of “investment advice fiduciary” under the Employee Retirement Income Security Act of 1974 (ERISA). According to the ERISA, fiduciaries must act in the best interests of their clients and put the needs of their clients above their own. This expanded definition will include financial professionals (brokers and planners) who work with retirement plans as fiduciaries. As fiduciaries, they must meet certain legal and ethical standards. The Obama administration created the controversial rule that’s seen plenty of hiccups along its path to go into effect. Not long after taking office, President Trump issued a memorandum in attempt to delay the rule for 180 days. During this time, the Department of Labor performed “economic and legal analysis” on the rule and its impact. Meanwhile, the rule’s effective date bounced back and forth among various appeals for delay and implementation. Secretary Acosta noted that while controversy may still surround the regulation, there is "no principled legal basis to change the June 9 date while we seek public input." Now is an important time for HR managers to evaluate their current retirement plans, vendors, and advisers. You want to ensure your employees receive the best plans for their families and the future. Great news to for the class of 2017! The Hay Group of Korn Ferry recently completed a study of more than 700 organizations and 145,00 positions in the U.S. They discovered students who receive an undergraduate degree in 2017 will earn the highest average salaries of any college graduates since the recession. In their study, they found that 2017 college grads will make on average $49,785. That’s three percent more than the average salary for 2016 graduates and 14% more than 2007 graduates. What does this mean for employers? Benjamin Frost, Global Product Manager for the Hay Group, advises companies to evaluate how they’re attracting talent. "With unemployment rates back down to pre-recession levels and jobs requiring more highly specialized skills, companies will need to offer competitive compensation packages if they hope to attract top talent." How do you attract top talent and set yourself apart from the competition? Now that recent graduates have more opportunity than their predecessors, attracting and retaining top talent will take more strategy and attention. Hats off to the Class of 2017!